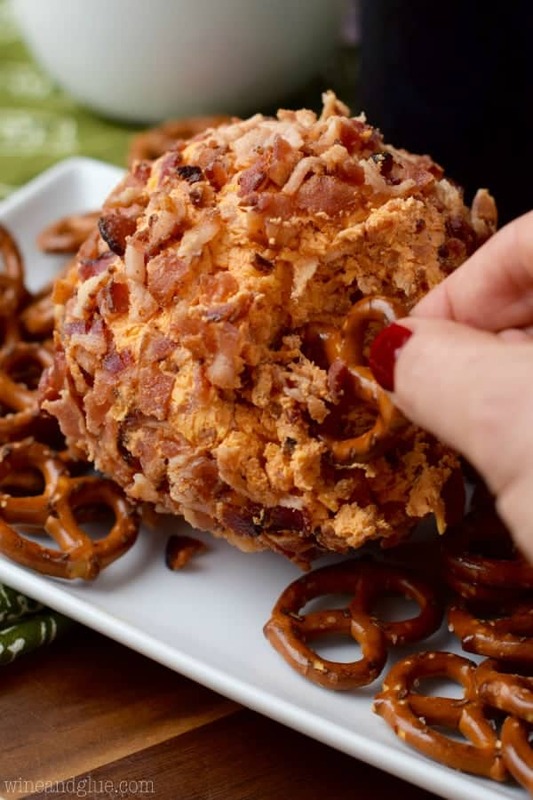 This Buffalo Bacon Cheeseball is easy to throw together and the perfect appetizer for a party! This post first appeared over at Real Housemoms where I’m a contributor. You guys, I normally shy away from talking about politics on the blog . . . or really life in general. But can we just talk for a minute about the current state of affairs? It’s like a sign of the coming of the apocalypse. The current candidates make me feel like I’m trapped in an SNL episode. I mean, don’t get me wrong. I like SNL as much as the next person. BUT I DON’T WANT TO LIVE THERE! A Democrat I’m friends with posted the other day that you know it’s a really sad state of affairs when she’s heartbroken about a BUSH pulling out of the race. Seriously, America? Get it together. Okay, I’m done. I’m getting too worked up. If you too want to ignore American politics, and I mean, why wouldn’t you? 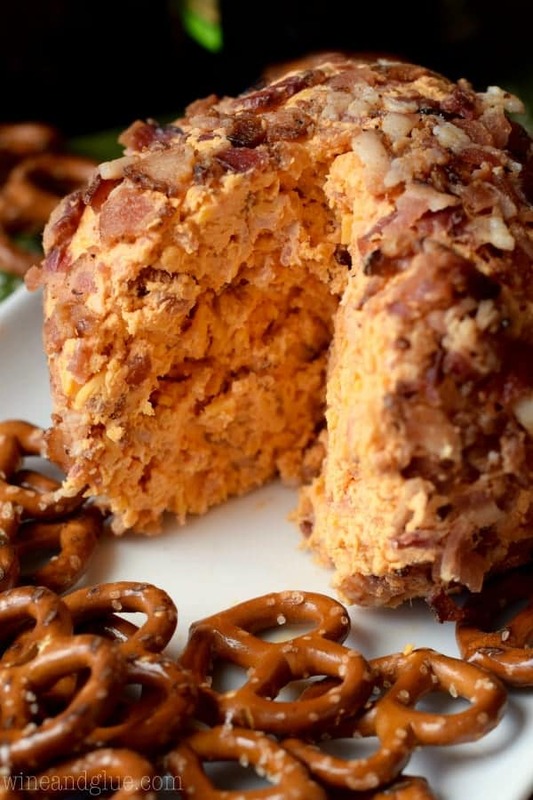 Then I have found the perfect answer for you: Buffalo Bacon Cheeseball. I mean, duh? Right? 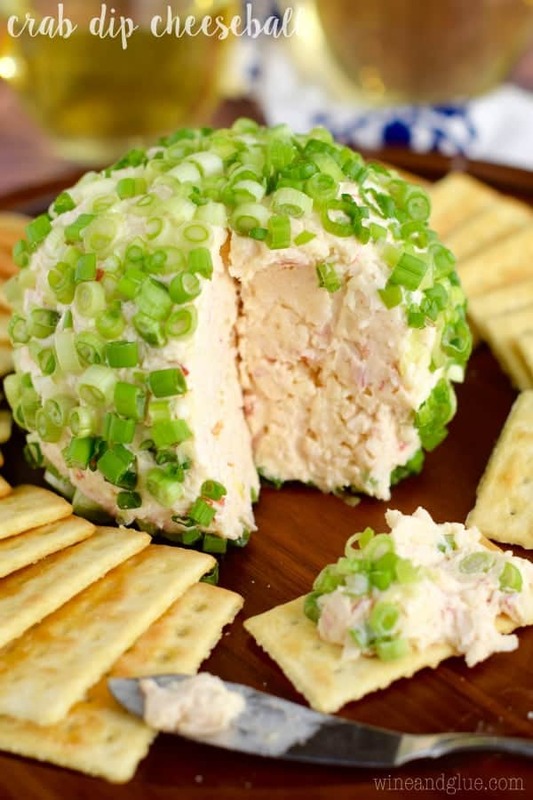 I first made this recipe for my extended family back around Christmas at the same time I made this amazing cheeseball for them. You guys, I really love my family. They are sweet. It was fun to watch them go from cheeseball to cheeseball trying to determine which one they liked best. It was a toss up between these two, but what they did say was that they liked this one much more with regular crackers, like Ritz or some Keebler. The general consensus was that the pretzels, while I thought they would pair perfectly with the buffalo flavor, were too much. 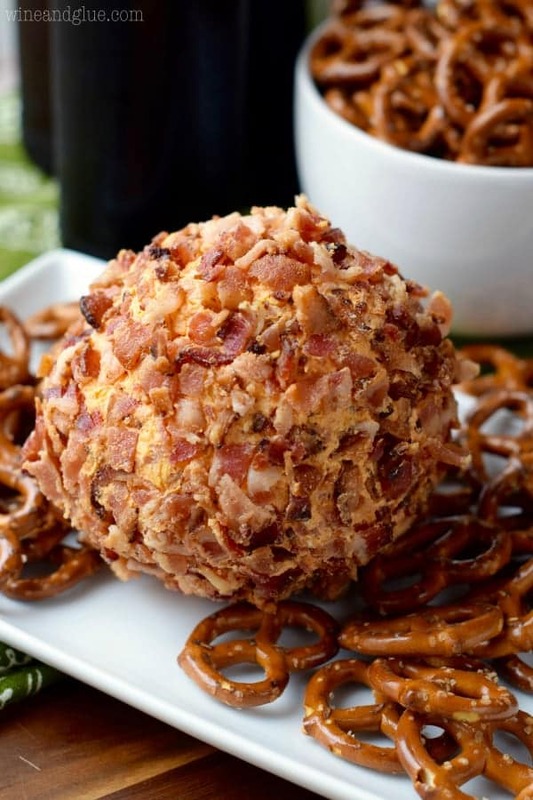 They overpowered the flavor of the cheeseball. 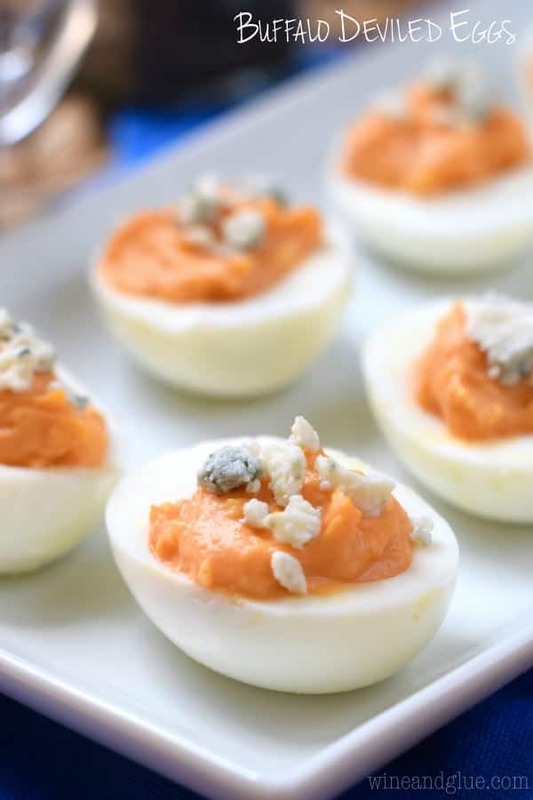 Using a hand mixer, combine the cream cheese, buffalo sauce, garlic salt, and half of the chopped cooked bacon. 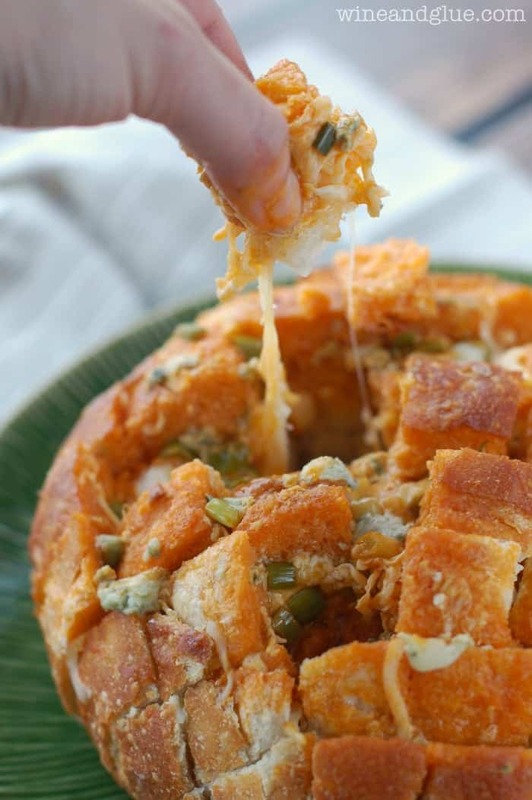 Once combined, mix in the cheddar cheese. Chill for at least one hour or until firm to the touch. Once firm, roll into a ball and then roll in remaining bacon. Serve with crackers.